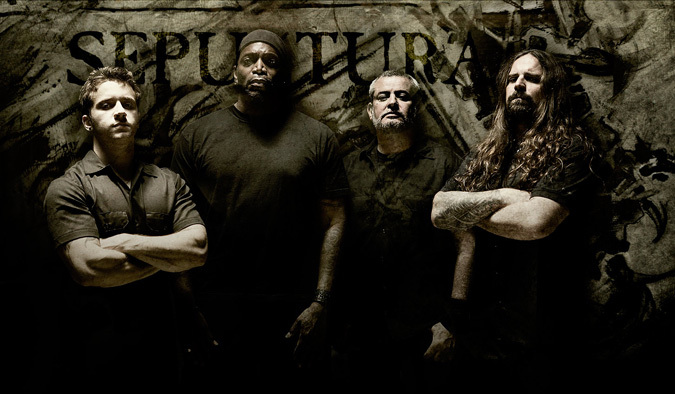 Sepultura: "30 Years and Conquering" Interview with Andreas Kisser! Stemming from a world better known for its exotic birds and beaches, resilient indigenous people, and class dissention than its Metal, and then vying for a place among the British and American giants in the 80s, Sepultura emerged against the odds. But, the explosion of "Arise" in 1991 marked their place for good, earning the respect that stamps their passports and still enjoy today, though the respect may be more for the volume than the music. In other words: They're so gloriously aggressive, many fans tend to overlook, or don't appreciate, the complexity of the music. Sepultura could very reasonably be considered among the pioneers, or even the fathers, of Prog Death metal. Sometimes the magnitude of the quake overpowers the quality of the soil. Axeman Andreas Kisser, now currently on the road, in the midst of the massive North American leg of their 30th Anniversary tour, discusses Sepultura's own "roots" and the essence of what they're celebrating.